The National Insurance Commission (NIC) is taking steps to sanitize the insurance industry through an effective framework. According to NIC, insurance companies would be re-capitalized to avert the recent crisis in the banking sector. The NIC is considering enforcing the minimum the capital requirement for insurance companies, tightening the regulatory framework to eschew undercutting and fraudulent insurance companies, as well as promote the payment of claims, among others. 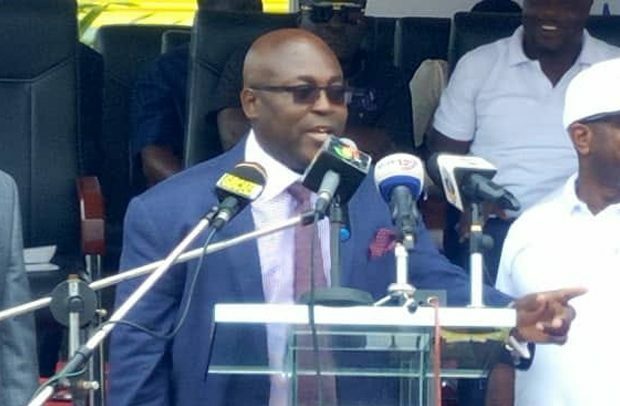 Speaking at the launch of Serene Insurance Limited in Tema in the Greater Accra Region on Wednesday, Ray Ankrah, the Board Chairman of NIC, mentioned that the reforms would protect players in the insurance sector. “What is happening or what has happened in the financial sector is a concern to all of us so as a National Insurance Commission we have decided to act and we will act proactively. As we speak now, discussions are going on among my colleagues to ensure that we look at the regulative framework, strengthen it so that all these turmoil we have seen in the banking sector will not affect the insurance industry. “So I can assure all Ghanaians that a lot is being done and very soon we shall roll out a programme to show to Ghanaians that we have really taken this job seriously because we do not want any of these problems to affect the insurance industry, he indicated. The Board Chairman further stated that NIC believes that regulation should be effective, transparent and predictable. According to him, the NIC is working tirelessly on the new framework to restore confidence in the insurance industry. “I mean a lot of work is going on, and I can assure you that as board members of NIC, we are very much aware of some of these challenges and our Commissioner and the senior management team are in regular dialogue with the insurance companies to drive home the point that undercutting and doing things which are not in accordance with the law will not be countenanced,” he added. Mr. Ankrah pointed out that NIC would avoid mistakes uncovered by the Bank of Ghana (BoG) in order to ensure sanity and boost confidence in the sector. “There is the need for us to enforce minimum the capital requirement because a lot of things are taking place and we want to make sure people who are interested in insurance and wider financial sector would be very happy with it,” the Board Chair stated. Justice Jones Mawulom Dotse of the Supreme Court, who chaired the occasion, cautioned NIC against listening to influential people only in the implementation of the law. He urged the directors to crack the whip on fraudulent insurance companies, adding that they should implement fully the Insurance Act, especially Section 21.